SenSura® Mio is an ostomy pouch that promises a better body fit and a greater feeling of security for patients with a colostomy. 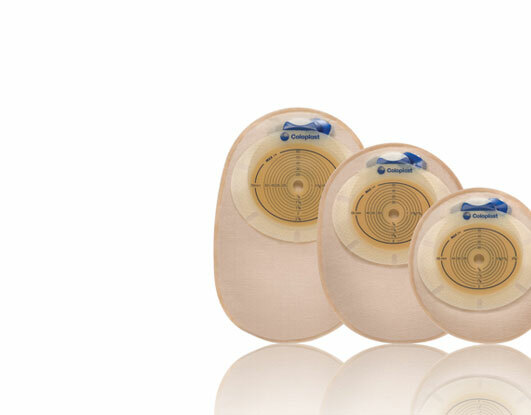 SenSura Mio achieves this fit and security by using Coloplast's innovative BodyFit™ Technology, a pliable new elastic adhesive that is a first of its kind in the ostomy medical devices industry. Place a thumb on the white tab on the adhesive and pull the turquoise release tab away to remove the protective film. 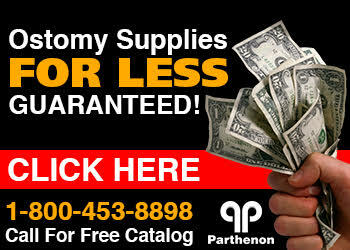 Apply the adhesive around the stoma. To ensure perfect fit, fold the bag backwards, align the adhesive around the stoma and press it firmly onto the skin. Start at the bottom and smooth it upwards with your fingers. 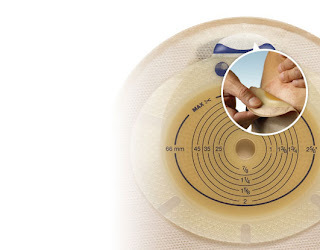 The bag has an inspection window to make it easier to position the appliance around the stoma. Pull down the white removal tab to loosen the adhesive from the skin. Gently remove the adhesive by rolling it step by step downwards. Apply light pressure on the skin with your other hand.